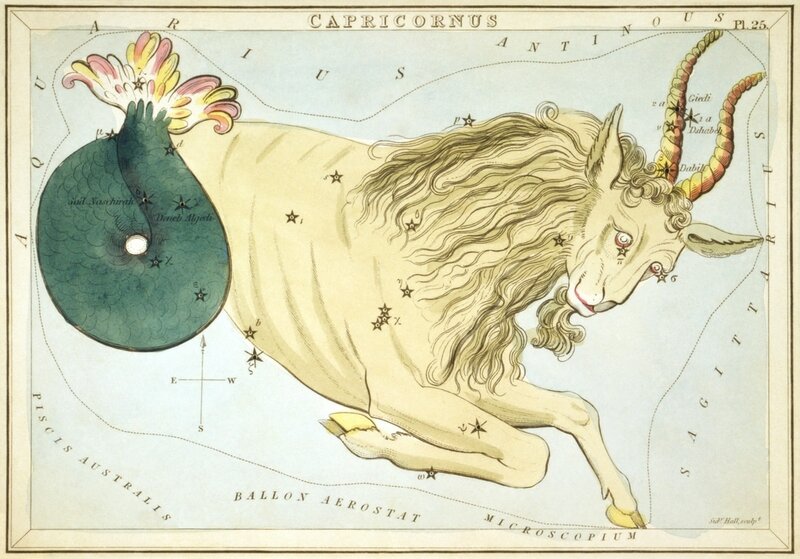 The constellation Capricornus is the Horned Goat of the night sky. In Greek mythology Capricornus is a sea-goat, and is normally said to be the representation Aegipan. ​Aegipan was said by some to have been a sea-god son of Zeus, who aided his father during the Titanomachy, and also the revolt of Typhon. Aegipan was indeed needed by Zeus when he fought Typhon, for the monstrous Typhon cut away the sinews of the supreme god, and Zeus could only battle on after Aegipan had restored them. Some tell instead of Capricornus being the representation of the god Pan instead, for the goat god Pan threw himself into a river, turning himself into a goat-fish to escape from Typhon.